A Playlist to Help You Beat S.A.D. For many people, the tail end of winter is a gloomy time. Though the dark days of the season can be exciting at first with the holidays and snow accumulation, the dreariness gets to some people at their core each year. Seasonal Affective Disorder (S.A.D.) is season-based depression that most frequently occurs during the fall and winter months for sufferers. Though the depression symptoms from S.A.D. do not last all year long, they are often considered to be a part of an overarching major depressive disorder or bipolar disorder, in some cases. Nearly 1/10 of the population might be affected by the disorder in colder climates. Some people who experience S.A.D. turn to drugs and alcohol to contend with the dark feelings that come alongside it. Others have underlying conditions, like bipolar disorder, which might also be underlying factors for an addiction problem. No matter the reason, turning to alcohol and drugs during the onslaught of S.A.D. is an action that will not solve the root problem and potentially backfire for regular people and could be the start of a fatal relapse in others. If you already struggle with addiction but know that you also struggle with S.A.D., your best defense against the dreary days is a combination of anything and everything that might uplift you. Seasonal Affective Disorder (S.A.D.) is season-based depression that most frequently occurs for sufferers during the fall and winter months. Countless scientific studies have affirmed a relationship between music and mood. 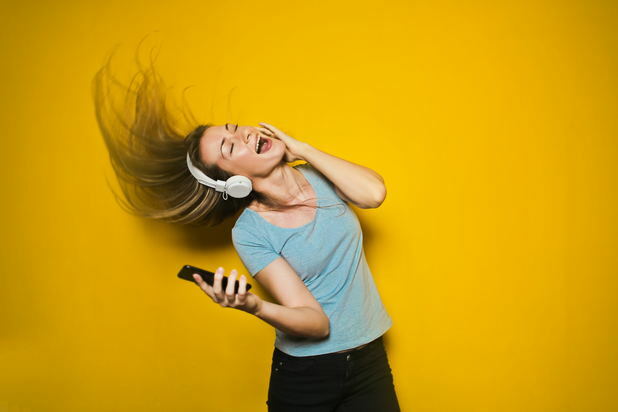 Music doesn’t just change your outward mood, but according to a 2011 study from University of Groningen, music can actually change your perception on a fundamental level. So if you’re feeling seriously glum, try turning to music first to see if you can polish up the way your brain is perceiving the world at large and daily events. Not sure where to start? Then try out this playlist filled with upbeat go-to songs first. You’ve no doubt heard this upbeat song centering on happiness itself by now, but don’t forget about it! The reason why this song became so widely popular in the first place was because of the infectious warm and fuzzy feelings it so easily spreads. This song’s lyrics are simple, but inspiring. More importantly, the way that the song’s chords progress paired with the catchy chorus just makes for a good mood! This disco-grooving track will probably get your head bopping no matter how down and out you’re feeling. The main refrain, “I won’t let you down,” has a way of sticking with you as a positive message and an unstoppable hook simultaneously. When in doubt, dance. And if you’re feeling too down to dance, then just turn on some dance music and see what happens. Hot Chip’s “Over And Over” is a great tune that will give you “laid back” vibes in sync with the intro verse of the song and a great, foot-tapping beat. This upbeat track is undeniably head-bopping material equipped with a great sing-along chorus, to boot. The old-school style funk in this hit that you’ve heard blasted all over is a good one to keep in your personal queue for when you’re feeling a little low. Horns like these will elevate you from any low place! Smooth vocals and a gentle build perfectly set up this song’s catchy chorus entrance. And once it hits, you’ll find yourself feeling the happy Brooklyn vibes ASAP. If you or someone you know is struggling with addiction, please visit our directory of treatment centers or call 800-772-8219 to start the path to recovery. Is Coffee Bad for You During Recovery?